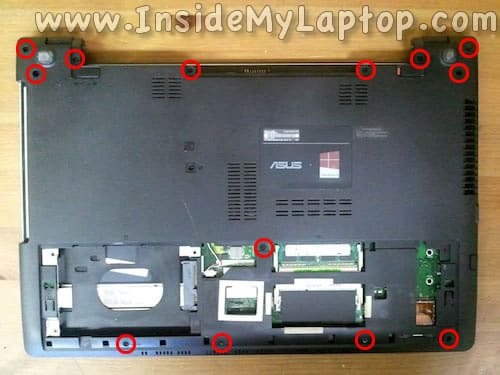 In this guide I will disassemble an Asus S56C. I’m taking it apart in order to access and remove failed iSSD module which is hidden under the bottom cover. Problem description: My customer complained that his Asus S56C laptop with Windows 8 Pro OS on it started booting very slow. Reinstalling the operating system didn’t fix the issue. When resuming from sleep mode it was crashing with the following error: Power Driver State Failure. After a quick search I found that this problem could be related to the iSSD and decided to remove it completely. Remove two screw securing the service cover on the bottom. Slide the service cover to the shown direction and remove it. When the service cover removed you can access the hard drive and both memory slots. In my Asus S56C I had only one 4GB RAM module installed and the second slot was empty. Remove three screws securing the hard drive assembly to the case. 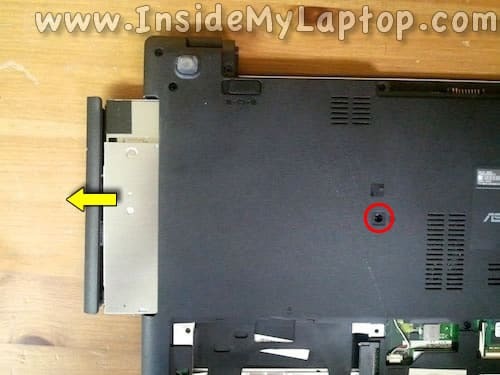 Remove one screw securing the optical drive. This screw is hidden under the small square cover which has to be removed first. 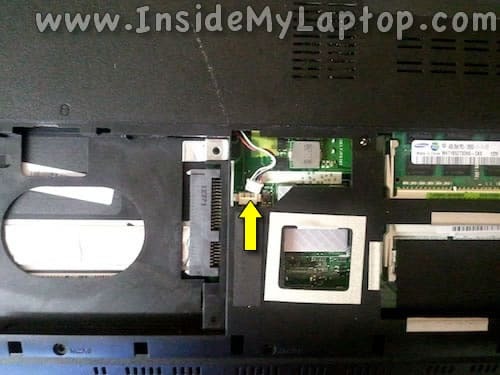 Pull the optical drive to the left and remove it. Five bottom screws are longer than screws on the top. Using a guitar pick (or any other piece of plastic) start separating the bottom case. 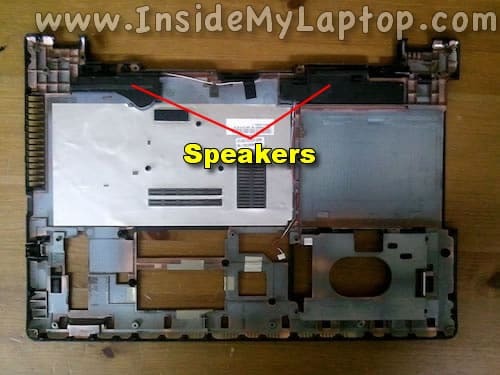 Don’t forget to unplug the speaker cable shown in the step 11. Continue separating the bottom case. Before you remove the case, you’ll have to disconnect the speaker cable from the motherboard. You’ll find this cable on the bottom of the laptop between the hard drive bay and RAM slots. Here’s the other side of the bottom case. Here you can access both speakers. When the bottom case removed you can access the DC power jack, cooling fan, wireless card and iSSD module. 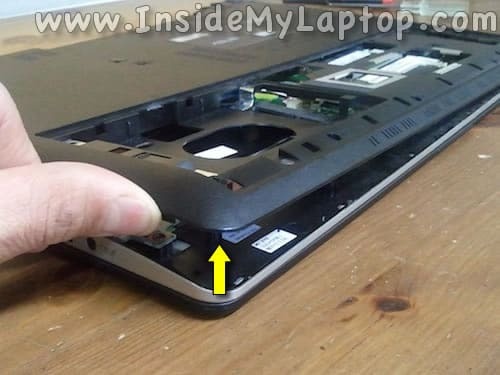 In order to remove the iSSD module you’ll have to remove one screw and pull the module from the slot. By the way, removing the iSSD module fixed the problem reported by my customer. The boot time went back to normal and it stopped crashing when coming out of sleep mode. I didn’t notice any performance issues with this module removed. Could you show where the CMOS battery is and/or jumpers to remove them and reset the BIOS? 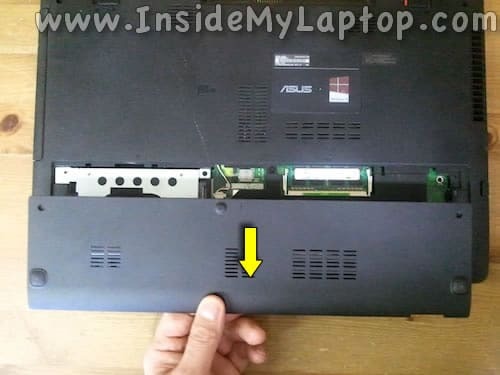 I’m afraid you’ll have to remove the motherboard from the laptop case in order to access the CMOS battery. The CMOS battery is not on the side shown in the last step. Don’t know if this model has jumpers. Hello, i am a newbie at this forum, but i understand that it is a amazing thread! 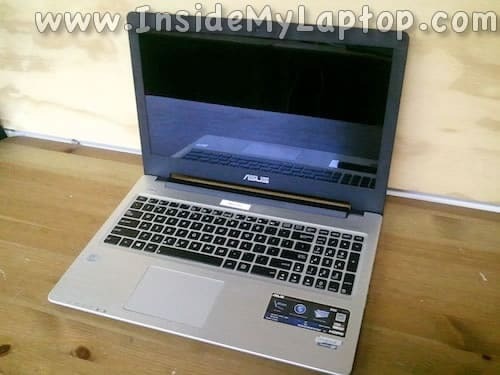 I have the Asus S56CB – XX173H , and i am really dissatisfied with asus and the quality and performance of the laptop! 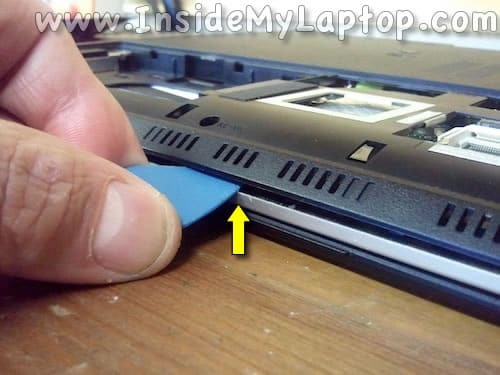 Probably change the ssd with a brand new is a solution in performance and starting up of this laptop. But the quality of screen is really low! Does anyone know if that laptop (vga gforce 740m) could support a full hd screen? And if there is some useful links of some screens/? 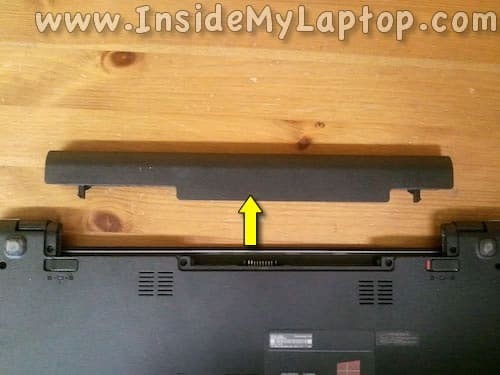 I believe you cannot install a better screen on this laptop. Your laptop comes with (15.6 “) 16:9 HD (1366×768) LED and probably it’s the best you can do. I couldn’t find any screens with better resolution. Thanks. Also confirmed that removing the 24Gb SSD the resolved the long boot times from my S56CM-XX097H. My LCD cracked after my friend sat on my K56CM. Thanks for this guide. Very helpful. I can confirm that removing the 24GB SSD completely solved the problem. I think that this SSD causes problem if you are not in UEFI mode (probably because the SSD is still GPT), and with windows 7 UEFI is disabled. Also if you are stuck at boot with no boot options and windows 7 installed, try disabling “Secure boot” and “enabling CSM” in the bios, You can’t install a MBR version of windows 7 on a UEFI GPT disk and visa versa. For windows 8 to work do it the other way around. Hope that helps, this drived me crazy for all the afternoon. Damn, well i think I owe you a beer, been puzzling over this issue for 3 days. Every other forum said either bluetooth driver or fastboot was the issue. Every test i did told me all the hardware passed; but laptop stubbornly acted like a failing hard disk slow, etc. So i was partially correct, but the SSD never ever occurred to me; i was assuming it was the sata drive pfft. I would like to thank you very much for your thorough explanation. I have Asus K56 CA and am thinking of upgrading the ram capacity to 8GB instead of 4GB and also replacing HDD, Like am tending to install SSD “Samsung EVO 480 500 GB” instead of my typical Hard Drive. I was afraid before not to play with my laptop, but now after seeing this site. I have a quite confidence to do this. Hi, I removed the iSSD and my laptop boots up in seconds! The headache I’ve been having for months is now gone, thanks to you. What is needed the iSSD card for? The SSD is used to cache files to speed up certain operations, such as booting and waking up. I cant fix power state driver failure, in dmp files says the iastora.sys it is Intel Matrix Storage manager, but i cant find it on my computer, when trying to install Matrix storage, install begins, but stops saying pc has not minimum requirements or operating system is not supported… I have bought Asus 1 year before. After removing ssd card i wont be able to use warranty? BIG thanks! I was ready to buy a Chromebook because I couldn’t deal with how slow my Asus laptop had gotten. I sat down to troubleshoot because I wanted to be able to sell the Asus on eBay for at least something and found your page. Asus is back up and running smoothly again with no real difference in speed without the SSD. Hi, thanks for your tutorial! I’m not a pro in laptops, can you please answer my question please? I have the same laptop as you and as wondering if you can give me the motherboard model number to replace it. 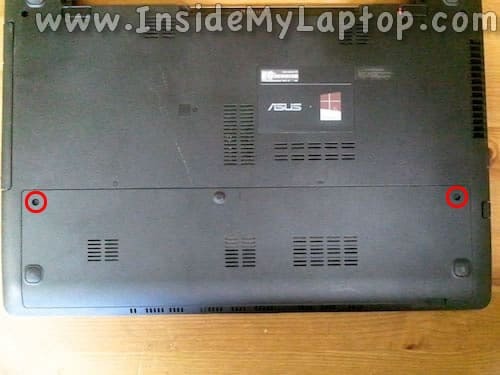 It is dead according to Asus technicians… thanks!!! 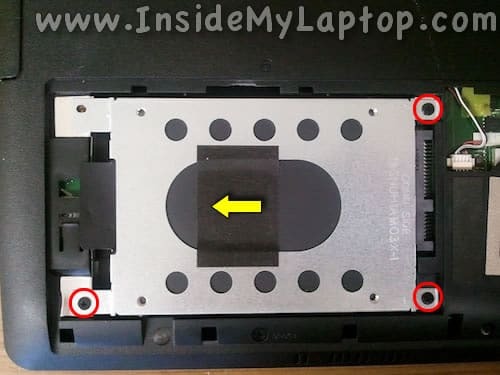 Just to make sure your replacement motherboard is compatible with your laptop, I would search by the part number from the original board. 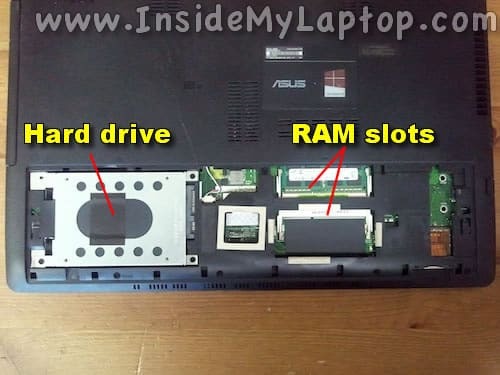 Take a look at the RAM slot. You’ll see some stickers on it. Most likely one of the stickers has the part number for your motherboard. Google it or search on eBay. This happened on my asus vivobook s551lb last year. Whenever the 24 ssd cache is inserted, my laptop doesn’t boot at all. Removing the ssd really solves the problem. Finally found this article, thanks so much for it, my PC would literally only boot up every second fine and really slow to boot up. The problem turned out to be the issd . I was having this problem for a long time and didn’t know what to do, so was great to finally find your helpful solution, thanks again, Barry. Was having issues with my screen intermittently turning off. I thought for sure it was something to do with the screen or a cable in the hinge. Stumbled across your guide, removed the iSSD module and it resolved the screen issue immediately. my asus s56ca is taking almost 7-8 minutes to start….please help…I have already done window reset and all drivers seems to be updated. Experiencing slow boot issue. Removed the SSD and problem solved. Thank you so much. I think i lost some screws for the Mainboard and i can’t remember the size of this. Please, can anybody help. I google it, but i think it could be M2x3 size. i can acces my asus s56c bios.but it is in user mode and i can not change any option.can any one help ? ?its not loading windows and not booting anu dvd or usb. know i know where is bios battery. The ssd isnt the problem.. the ssd is what makes the boot time fast. You have to activate the expresscache manually. The ssd doesnt do anything until you manually activate it. Hello, I have the same problem with my S56CA. When I searched a solution I found this forum. Before removing ssd I want to try any other posibilities. Tebo could you tell me something more about expresscache, please. It’s most definitely the iSSD, about a month after the warranty expired the computer started booting extremely slow and freezing up after a wake up. After trying to reinstall the OS (back to Win 8, and getting trapped in an update error preventing me from getting back to 8.1 so I could get to 10, which eventually was able to fix after several weeks) I found this web post when searching for any information on replacing the hybrid drive with a full SSD, pulled the iSSD per the instruction and the computer now runs like it did before the failure. I was never aware that a Hybrid drive isn’t actually a drive with both SSD and physical mounted together, but rather an “SD” card mounted to a PCB with is mounted on the motherboard. This was all very enlightening. The PC is now functional again and doesn’t have to stay on and awake at all time for it to be usable. @Martin – this is a very simple operation, just be careful of the speaker wire, I managed to break mine while trying to unplug it, but a replacement set of speakers runs about $5 on eBay. Thank you for this guide. I removed the iSSD module because I had the same problem you described. The moral of the story: Don’t give up too early. My S56C would boot up very slowly and had a warning that the Kensington hard disk was failing. Took it back to Staples where I purchased it and was told it would be cheaper to buy another laptop…so I didn’t do anything for the time being. Now, it won’t turn on…could it be the ISSD module? And can it still be fixed? Some day ago i have seen that one of the two screws of the second step it’s been lost. Can someone tell me the correct type of screw for re-order it? Thanks! Where is the fuse located on the K56cm mainboard? I’ve exhaustively tested EVERY other option (hard reset, no battery, working PSU, reseated RAM, tested power jack – you name it, I’ve tried it) and the only course I have left before I call it a dead mainboard is the fuse. I know the fuse is very small and looks like an SMD resistor. Could someone tell me where to locate it?